We’re delighted to be working with The Weather Station again! 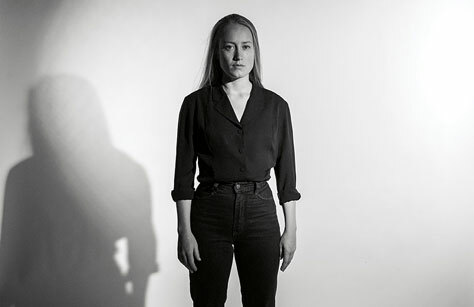 The Weather Station, Toronto’s Tamara Lindeman, will release her self-titled and fourth album on 6 October via Paradise of Bachelors, and will tour Europe this autumn. She also presents the album’s lead single, Thirty, ‘a song about joy at the precipice of despair’. The Weather Station has been acclaimed for her ‘measured, perceptive storytelling… an unmistakable and communicative voice, able to convey hope and hurt with equal clarity’ (Pitchfork). With The Weather Station, Lindeman reinvents her songcraft with a vital new energy, framing her prose-poem narratives in bolder musical settings. It’s an emotionally candid statement – a work of urgency, generosity and joy – that feels like a collection of obliquely gut-punching short stories. ‘I wanted to make a rock and roll record,’ Lindeman explains, ‘but one that sounded how I wanted it to sound, which of course is nothing like rock and roll.’ The result declares its understated feminist politics and new sonic directions from its first moments. There are big, buzzing guitars, thrusting drums, horror-movie strings and her keening, Appalachian-tinged vocal melodies. Reaching towards a sort of accelerated talking blues, she sings with a new rapid-fire vocal style. After two records made in close collaboration with other musicians, including Loyalty, which FADER called ‘the best folk album of the year’, Lindeman self- produced for the first time since her debut. The band comprised touring bassist Ben Whiteley, drummer Don Kerr, and guests, including Ryan Driver (Jennifer Castle), Ben Boye (Ty Segall, Ryley Walker) and Will Kidman (The Constantines). But the heaviest thumbprint on the record belongs to Lindeman; she wrote the dense, often dissonant string arrangements and played most of the wending, tumbling guitar lines. Tour support comes from Will Stratton. Bella Union is thrilled to release Will Stratton’s album Rosewood Almanac, the American’s debut for the label, this May. It’s a work of fragile magic, a hypnotic combination of beautifully breathy voice and exquisite lyrical imagery, gorgeous melodies and similarly soft-spun instrumentation, centred on his thrumming acoustic guitar and the verdant presence of velvet strings.